Divorce by Mutual Consent is the simplest and easiest way of dissolving marriage. Matrimonial disputes are related with emotions, feelings, ego and psycho-logical reasons. You would not deny that most difficult thing is to predict the nature and behavior of other human being. We all have tendency of assuming that what we are doing and thinking is correct while others are not doing right. Although, some time we try to rationalize things or making it logical. We pretend to be good listener but we are listening to counter other to score a goal to boost our inflated ego. We are not listening to others point of view. That may help us in resolving issue. Why don’t we accept we are imperfect human beings? Relationship can work more positively if we understand the perception of our spouse. Some time such basic things are ignored by us. AT THIS TIME, there is a need of a Counselor or mediator. Such counselor or mediator has no concern or interest with either of the spouse. Such counselor or mediator can under-stand your problem objectively. They can suggest practical ways to resolve issues and understand the perception of each other. Counselor and mediator may act as a miracle and save the most beautiful relationship of “marriage”. There may also be cases wherein it is manifestly clear that relationship of husband and wife will not work. Spouses have deep abhorrence against each other for variety of reasons. At those juncture, after fully understanding the impossibility of reconciliation, counselor or mediator would recommend for divorce. It is entirely into hand of spouses that they understand the fact that divorce is the best remedy in their larger future interest. They can work out their divorce in such scenario in easier manner. Spouses can reach to amicable settlement. Every issue can be resolved by talking. Let the talk to Walk!!! Tough decisions like child custody and visitation rights can be discussed. You would not imagine that you have planned your divorce and worked out in very positive atmosphere to reach to Amicable Settlement. You are saved from acrimonious litigation saving time, cost and energy. You walk out with held high and can still have healthy relationship. • Both Parties i.e. 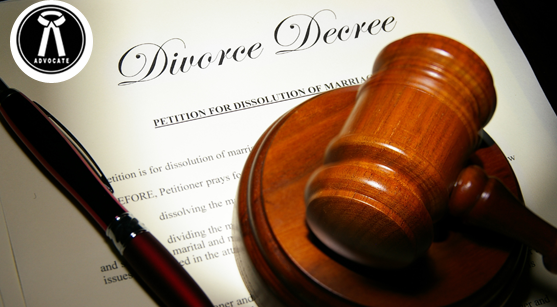 Husband and Wife have to reach to Mutual understanding and agreement regarding terms and conditions for Divorce. • On the basis of settlement and agreement, petition for Mutual Consent is drafted. Under Hindu Marriages, such Petition is filed under section 13 B of the Hindu Marriage Act. Under Christian Marriages, section 10 A of the Indian Divorce Act. Under secular or civil marriages, section 28 of the Special Marriage Act. • Divorce Petition will be drafted which will include terms of settlement agreed between parties. • Such Mutual Consent Divorce Petition shall be filed in the Court as court procedure. • Matter will come up for hearing in the Court and generally parties have to be present before the Court and their statement is recorded. • After recording of statements, First Motion will be passed. • Court gives six months time to parties to reconsider their decision. This is called cooling period generally. • Second Motion is set up. • Aforesaid steps shall be repeated. Statement of parties will be recorded again. • After such recording of statement, Court will grant pass order and judgment, decree for divorce is granted. Law specifically provided six months gap or waiting period between First Motion and Second Motion. Prior to 2009, compliance of six months waiting was not mandatory. But, in 2009, Supreme Court made it mandatory and took away the power of the Family Court or the District Court to waive of period of six months. But, Supreme Court still has power to waive of the period of six months. Thus, Supreme Court is the only Court which has the power to dissolve the marriage in less than six months.